Home > Mutual Funds > How to review mutual fund investments? by Mr Deepak Jasani, HDFC Securities. Investing in mutual funds should ideally be for the long term. However, it is essential to periodically review the performance of the schemes by studying the historical returns of that scheme and comparison with the returns of benchmark / category that the schemes belongs to, over the same period of time. If you do not do this, you may not achieve your earlier planned goals in time. Ideally, this exercise should be conducted every 6 to 9 months. Historical absolute returns of the scheme (over different periods, say, 6 months, 1, 3 and 5 years) can give a sense of how the scheme has been performing. Returns during various market cycles should be studied as opposed to just comparing point-to-point returns. If the absolute returns are consistently below par or expectations, then there could be a risk of investors’ goals not being met at all. The next step would be comparing the scheme’s performance with that of the benchmark and category to which the scheme belongs. By studying the returns vis-à-vis benchmark, investors will understand whether the scheme has generated enough premium to justify the cost of the actively managed scheme as opposed to simply tracking the benchmark through an exchange traded fund (ETF). Comparing with category returns will help in understanding if the outperformance (or underperformance) is attributable to the entire category or just the scheme alone or a bit of both. If the scheme has consistently underperformed, then it is time for the investor to switch out of the scheme to better performing ones in the same category. The investor should also assess the risk that was undertaken to earn those returns. This can be done using various measures like Sharpe, Treynor Ratios, Standard Deviation (SD), etc. Out of these, SD is a simple yet comprehensive risk measure and gives a fair idea of the risks involved in earning the expected returns. The investor should compare the scheme’s risk along with that of the category average and whether this is in line with his expectations and/or his own risk profile. Portfolio turnover ratio is a measure of churn within the portfolio; i.e., how much has the fund manager bought/sold as compared to the total assets under management of the scheme. In schemes with particularly high turnover ratios, investors should assess whether it has resulted in any excess returns. Another factor to consider would be asset allocation changes at the investor level that have occurred after the original investments. This can happen since not all asset classes grow or decline at the same rate. The investor should make sure that his current asset allocation is in accordance with the originally intended allocation. Investors in sectoral or thematic funds or investors having a particularly large exposure to a specific segment of the market need to be extra careful since they are exposed to unsystematic risk as well. Assessing the macro events pertaining to the sector like regulatory changes, changes in economic conditions should help the investor to estimate the future prospects of the sector/theme to a certain degree. For example, currently, the IT sector has run into headwinds due to structural changes, rupee appreciation and changes in visa policy. Investors should also assess if any particular segment that he is invested in is trading at high valuations which might be an indicator of the forming of a bubble in the sector. In such situations, one can make use of the PE ratio of the particular sector/segment and compare it with its historical average and also against the Nifty 50 index to assess if it is trading at particularly rich valuations. Review does not necessarily mean exit or switches. It is mainly meant to be aware of the emerging situation and taking necessary steps (only in case of major deviations) to fall in line with your original risk return profile and financial goals. 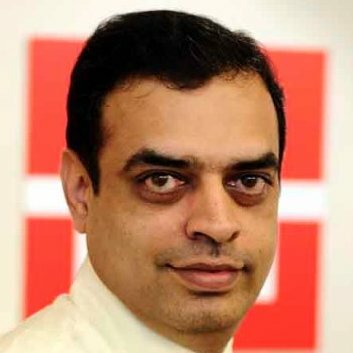 The Mr. Deepak Jasani writer is head, Retail Research, HDFC Securities.